There are so many manufacturers of football boots on the market these days, all of whom offer a variety of models with special features. In addition to classic models made of leather (mostly calf or kangaroo), there is also a wide range of football boots made of synthetic materials using sophisticated technology to enhance the player's game. We'll advise you on how to navigate through our wide range of products and select the right pair of football boots for you. These are designed for play on most firm natural surfaces. Their molded studs provide traction on most pitches and are by far the most popular and versatile outsole for natural surfaces. 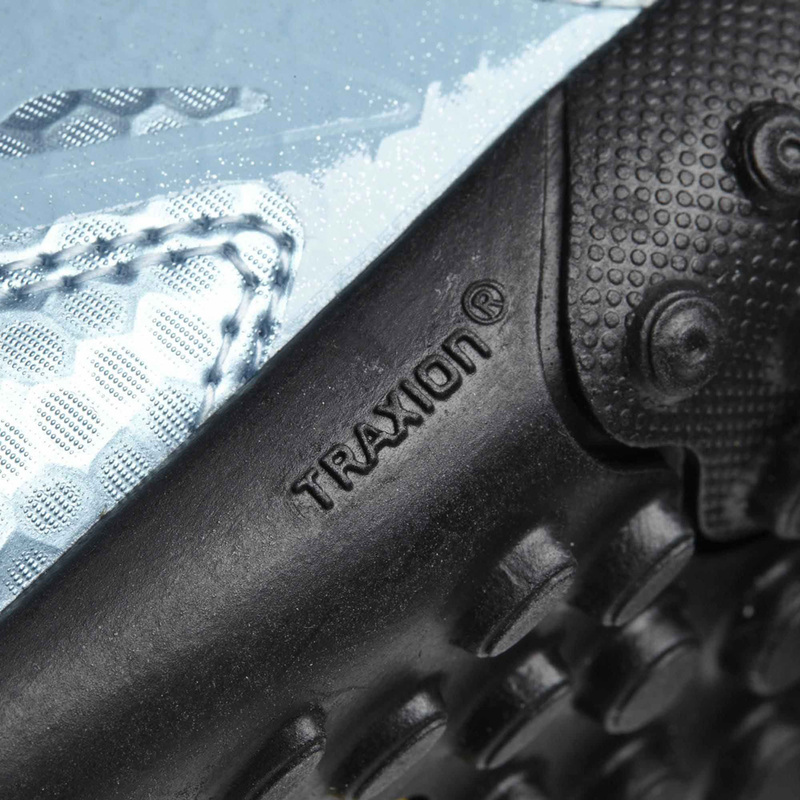 Molded boots feature both conical and bladed studs. Football boots marked as AG are designed for playing on artificial grass, where enforce construction and durability is needed. They are made with a high amount of low studs in order to ensure optimal weight distribution and power transfer. The layout of the studs depends on the manufacturer and specific model. Boots with an outsole covered with studs, which may be used on hard natural surface, sand or artificial grass, when you need shock absorption and resistance to abrasion. They feature high amount of low studs for optimal weight distribution and power transfer. 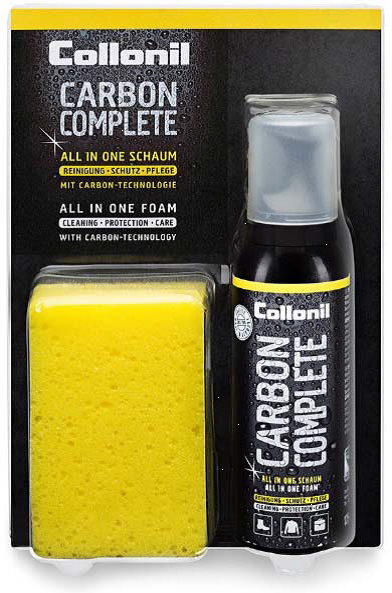 For soft or wet natural surfaces (i.e. well-groomed pitches or mud). Traditionally, soft ground boots are designed to require fewer well-spaced, but longer, replaceable studs. However, many now have non-removable bladed studs. These are the choice of boots for many professional players on manicured pitches. Lately, manufacturers offer universal type of football boots for use on bot natural and artificial grass in order to make it easier for players, who this way do not need several types of boots. The outsole features a combination of high and low studes for optimal weight distribution and power transfer on artificial grass and proper movement on natural grass. For indoor or dry artificial surfaces. 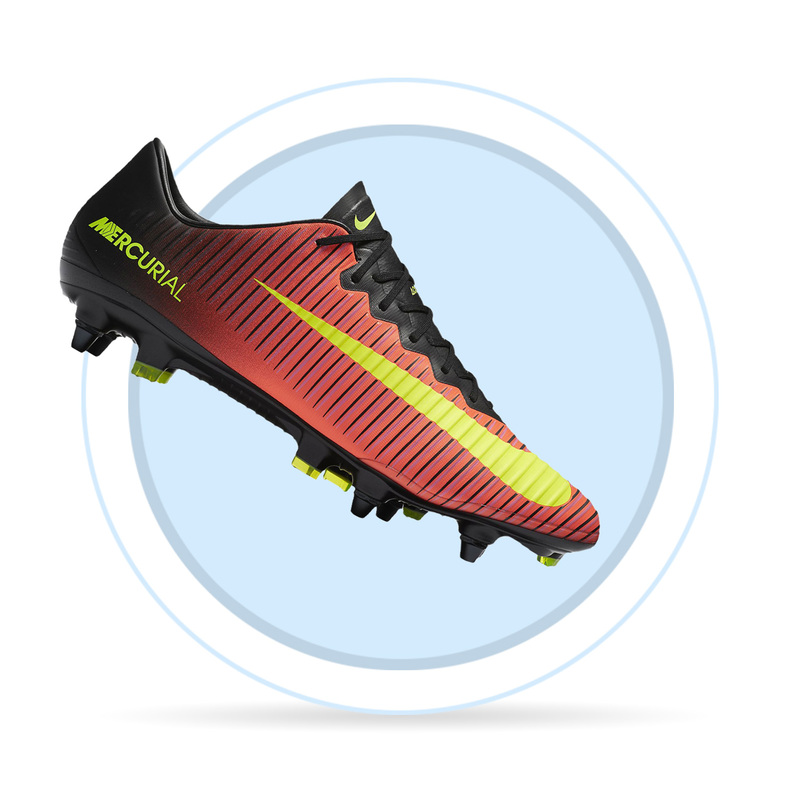 Indoor football boots generally feature a gum rubber flat outsole. They are designed for playing indoor football or futsal in a sports hall. Indoor boots generally have a non-marking rubber sole. Turf boots usually feature an extremely durable rubber outsole. Turf boots often feature small rubber studs or patterns on the outsole to improve traction on hard, natural fields and artificial turf. Turf boots are also great for training and can be used as a back up pair of shoes to play on hard surfaces. The number of studs and their placement vary from model to model, and determine the rate of acceleration, stopping and turning features of the boot for the player. The harder the playing surface, the more studs are required to ensure a player's weight becomes more evenly distributed and therefore, the boot offers more stability under foot. Studs differ from one another by shape. 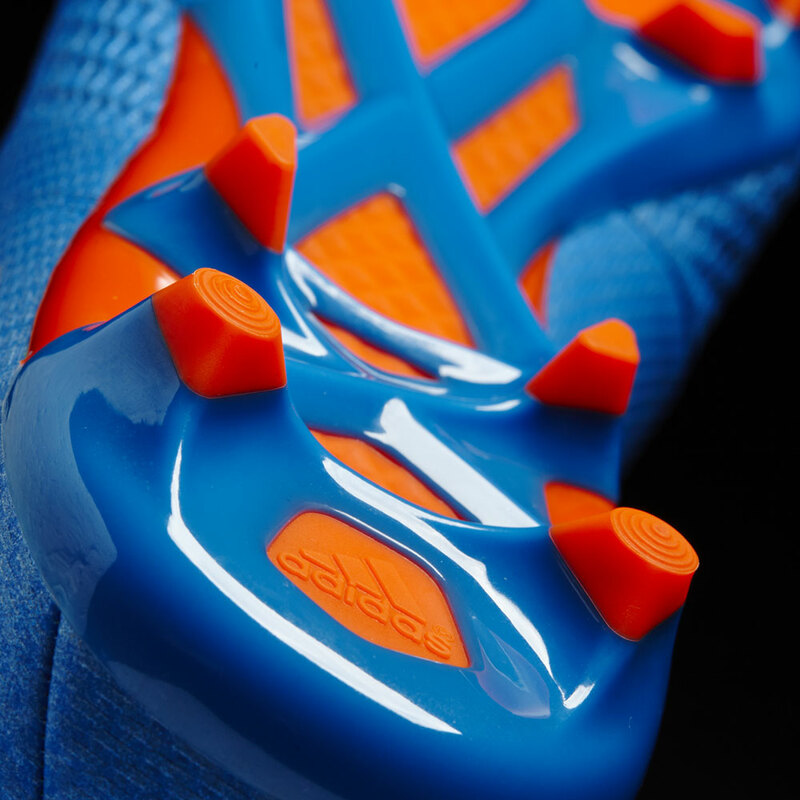 Apart from classic conical studs, there are also bladed studs that provide additional stability during sudden turns. To ensure total comfort and optimum performance in the game, it's important to choose boots with soles corresponding to the game surface. Nowadays, the choice of boots is not only determined by terrain or appearance. Modern football boots are packed with technologies that help the player control the ball better and thus enhance the game. Manufacturers produce boots in consultation with top players, who provide them with their experience, impressions and comments, in order to perfect the boot. As a result, we stock different models for specific types of players. E.g. Nike T90 - for strikers, Mercurial - for fast paced players, CTR360 - for midfielders and Tiempo - designed for controlled precision and exceptional grip on the pitch. As with any piece of sports equipment, taking care of your football boots improves their performance and increases durability & longevity. The first thing that will help keep boots in good condition, is to properly unlace them every time they are put on or taken off. A worn heel collar and damaged upper from trying to slip and wiggle in feet doesn't just spoil the look of the boots, but also impairs their functionality. The sole must always be thoroughly cleaned. Excessive mud and grass build-up are definitely not good for football boots! Lightly knock your boots together to remove any excess mud or dirt from the soles after a game. Mud can draw moisture out of the leather and eventually ruin the upper. The worst thing you can do to football boots is to leave them laying in a plastic bag while they're wet; shoes need to dry from the inside out. Place them in a cool dry place, out of direct sunlight or heat. Boots made from natural leather should moreover be treated with a shoe conditioner to help prolong their lifespan. If you have football boots with screw studs, properly lubricate the threads once in a while, and if you do not use them for an extended period of time, loosen the studs.